Anger is a perversion of courage, as lust is a perversion of love. For profane education is truly barren. It is always in labor, but never gives birth. As virtue is a thing that has no master, that is, is free, everything that is free will be united with virtue. Knowing, then, how widely the Divine nature differs from our own, let us quietly remain within our proper limits. He who gives you the day will also give you the things necessary for the day. For when one considers the universe, can anyone be so simple-minded as not to believe that the Divine is present in everything, pervading, embracing and penetrating it? There is one true and perfect power which is above all things and governs the whole universe. But it rules not by violence and tyrannical dictatorship, which inforces the obedience of its subjects through fear and compulsion. God would not therefore reduce the human race to slavery, since he himself, when we had been enslaved to sin, spontaneously recalled us to freedom. But if God does not enslave what is free, who is he that sets his own power above God's? 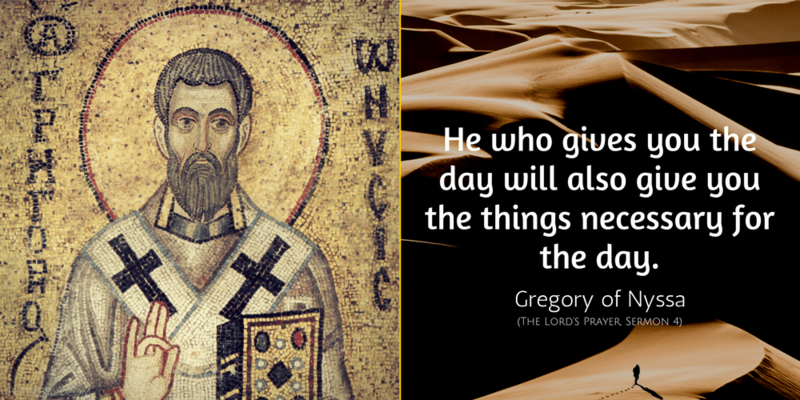 God says to you as it were: He who gives you the day will also give you the things necessary for the day. Who goes the sun to rise? Who makes the darkness of the night to disappear? Who shows you the ray of light? Who revolves the sky so that the source of light is above the earth? Slaves who have been freed and cease to serve their former masters, the very moment they become their own masters, direct all their thoughts towards themselves so, I take it, the soul which has been freed from ministering to the body becomes at once cognizant of its own inherent energy. Just as at sea those who are carried away from the direction of the harbor bring themselves back on course by a clear sign, on seeing a tall beacon light or some mountain peak coming into view, so Scripture may guide those adrift on the sea of the life back into the harbor of the divine will. 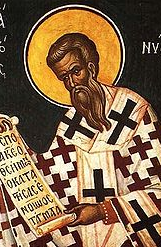 As, when one torch has been fired, flame is transmitted to all the neighbouring candlesticks, without either the first light being lessened or blazing with unequal brilliance on the other points where it has been caught; so the saintliness of a life is transmitted from him who has achieved it, to those who come within his circle. This truly is the vision of God: never to be satisfied in the desire to see him. But one must always, by looking at what he can see, rekindle his desire to see more. Thus, no limit would interrupt growth in the ascent to God, since no limit to the Good can be found nor is the increasing of desire for the Good brought to an end because it is satisfied. So when did these last two originate? They transcend “whenness,” but if I must give a naive answer—when the Father did. When was that? There has not been a “when” when the Father has not been in existence. This, then, is true of the Son and of the Holy Spirit. Put another question and I will answer it. Since when has the Son been begotten? Since as long as the Father has not been begotten. Just as the person who looks upon the perceptible cosmos and has grasped the Wisdom that is displayed in the beauty of these beings infers, on the basis of what the eye sees, the invisible Beauty and the wellspring of Wisdom, whose outflow contrived the natural order of what is, so too the person who attends to this new cosmos that appears in the creation of the church sees in it the One who is and is becoming ”all in all” (cf. 1 Cor 15:28) as, by way of the things our nature can take in and comprehend, he directs our knowledge toward that which cannot be contained. For the majority, I take it, who live all their lives with such obtuse faculties of thinking, it is a difficult thing to perform this feat of mental analysis and of discriminating the material vehicle from the immanent beauty, … Owing to this men give up all search after the true Beauty. Some slide into mere sensuality. Others incline in their desires to dead metallic coin. Others limit their imagination of the beautiful to worldly honours, fame, and power. There is another class which is enthusiastic about art and science. The most debased make their gluttony the test of what is good. But he who turns from all grosser thoughts and all passionate longings after what is seeming, and explores the nature of the beauty which is simple, immaterial, formless, would never make a mistake like that when he has to choose between all the objects of desire; he would never be so misled by these attractions as not to see the transient character of their pleasures and not to win his way to an utter contempt for every one of them. This, then, is the path to lead us to the discovery of the Beautiful. All other objects that attract men's love, be they never so fashionable, be they prized never so much and embraced never so eagerly, must be left below us, as too low, too fleeting, to employ the powers of loving which we possess; not indeed that those powers are to be locked up within us unused and motionless; but only that they must first be cleansed from all lower longings; then we must lift them to that height to which sense can never reach. 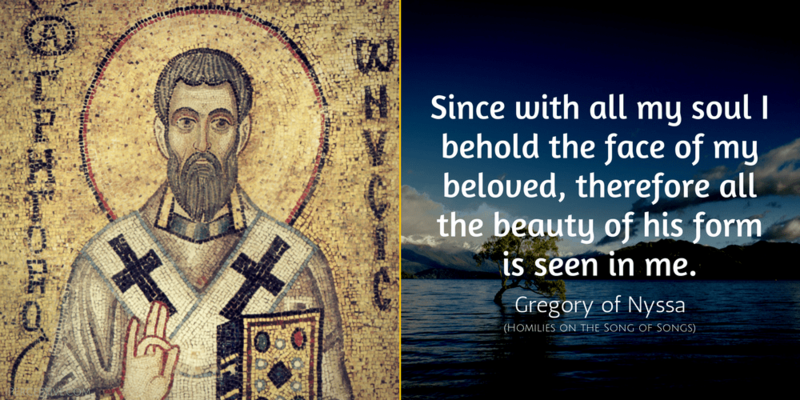 Gregory of Nyssa was a influential Christian mystic, bishop and theologian of the 4th century. 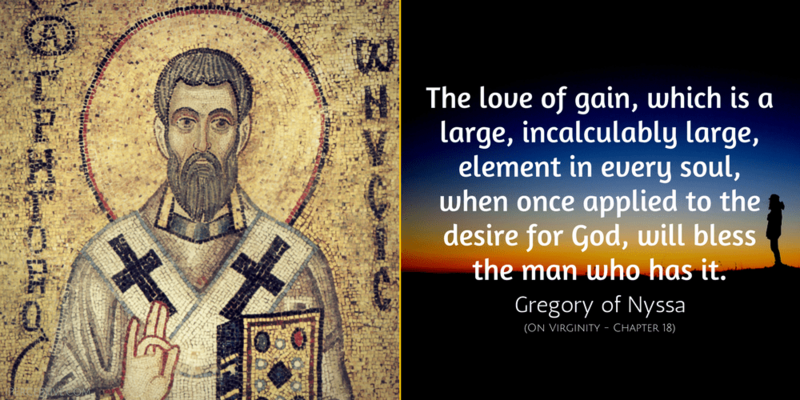 He is best remembered for his various contributions in Christian theology and he was also highly influenced by the early Church Father Origen.